Dr. Hans-Dieter Hermann is the first sport psychologist for Germany’s national soccer team since 2004. He also accompanied the team during the FIFA World Cup in Brazil 2014. Before then, he supervised among others, the Austrian ski racing team, the German gymnasts, boxers and hockey players. Together with Prof. Dr. Jan Mayer, he is business executive and owner of Coaching Competence Cooperation Rhein-Neckar, whose emphasis is the optimization of performance qualifications of managers, high performers and teams. Aside from competitive sportsmen and coaches his clients include politicians and top performers in the German economy as well. As a professor, he teaches both at the University of Applied Sciences in Saarbrucken and as a visiting professor at the Institute for Sport Science of the University of Saarland. 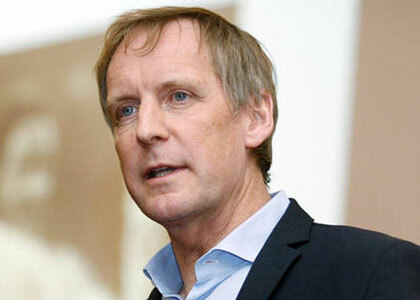 For the reporting of the Olympic Games 2012 in London and 2014 in Sochi, Hans-Dieter Hermann worked as a sport psychological expert for the ZDF (second channel of German television broadcasting). In 2016, he will do the same job in Rio.